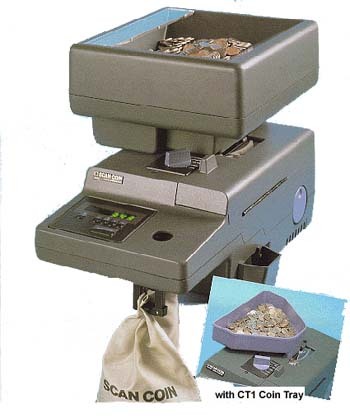 Our HEAVY DUTY counter/sorter can bag $1,000 in quarters in less than two minutes. Great for large car washes and vending operators. The SC3003 comes in three different electronic models: 3003, 3003 VA and 3003 VA Plus. A single coin knob simplifies the coin selection. Choice of three different hopper / trays allows you to choose the feeding system best suited to your needs. Picture shows our SC3003ACH which includes the Automatic Feed Hopper and the Side Bagger. Please call for other options and pricing.